AVIRA, the .NET explorer based VTU CSE 8th Sem Project which is capable of managing computer’s basic operations. It employs an user interface that is capable of receiving user’s voice as its input, process it and perform a necessary operation. It communicates back with the user via synthesized speech. The application requests users input in English and responds in the same. Also this system will be very much useful to the differently abled persons and the visually challenged persons who cannot read and, wants to know the details in their education and in any other aspects of the real world. Normally, the visually challenged persons acquire knowledge and exchange information with others mainly through the speech and writing. This is one of the IEEE Projects which will help those persons in their education and the computer will be made user friendly to achieve this purpose. EAACK is one of the latest VTU CSE 8th Sem Project. In this Project, as mentioned in IEEE paper, we propose and implement a new intrusion-detection system named Enhanced Adaptive Acknowledgments (EAACK) specially designed for MANETs. Compared to contemporary approaches, EAACK demonstrates higher malicious- behavior-detection rates in certain circumstances while does not greatly affect the network performances. Generation of QR Code is an Android based VTU CSE 8th Sem Project. Face detection has been one of the most studied topics in the computer vision literature. One of the fundamental techniques that enables a natural human-computer interaction (HCI) is face detection. This is one of the awesome IEEE xplore Project that determines the locations and sizes of human faces in digital images and generates QR code for it. Offline Data Download is one of the interesting IEEE based VTU CSE 8th Sem Project. People are using P2P (Peer to Peer) network for sharing and transferring digital content containing video, audio, or any other data file over the internet from different part of the globe. All General P2P file sharing protocols were designed to work optimally in the case that all the peers have an end node on the internet. The end peers should capable of delivering the contents in proper way with limited time constraint. To solve this problem, a method is proposed a new approach that will be implemented using email’s as a medium for data transfer and load balancing with the help of Hadoop-MapReduce framework. MapReduce is a framework which is pioneered by Goggle for distributed programming. It includes user specified Map and Reduce functions which process inputs in the form of key/value pairs. Along with the MapReduce paradigm, Hadoop also implements HDFS which is known distributed file system. Single Sign On is one of the computer networking VTU CSE 8th Sem Project. The Single sign-on (SSO) is a new authentication mechanism that enables a legal user with a single credential to be authenticated by multiple service providers in a distributed computer network. Recently, Chang and Lee proposed a new SSO scheme and claimed its security by providing well-organized security arguments. Along with project report and source code we also take classes to explain these VTU CSE 8th Sem Project. 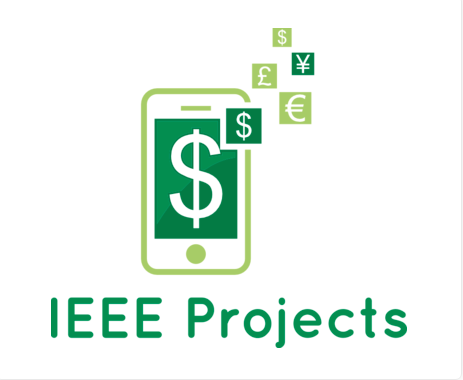 For more IEEE Projects fill the leave a message form.